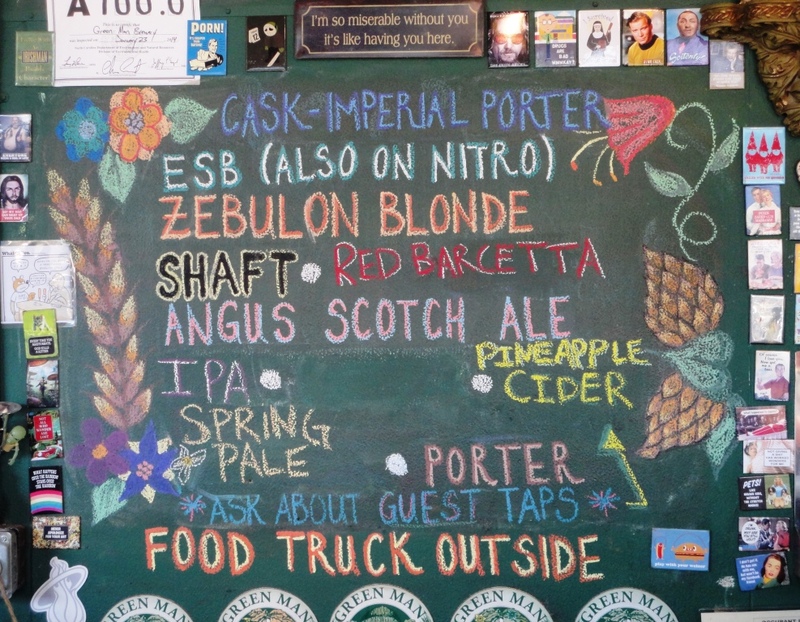 Continuing the beer travelogue of my 2014 Spring Break road trip through the heart of Appalachia — eastern Tennessee and western North Carolina. 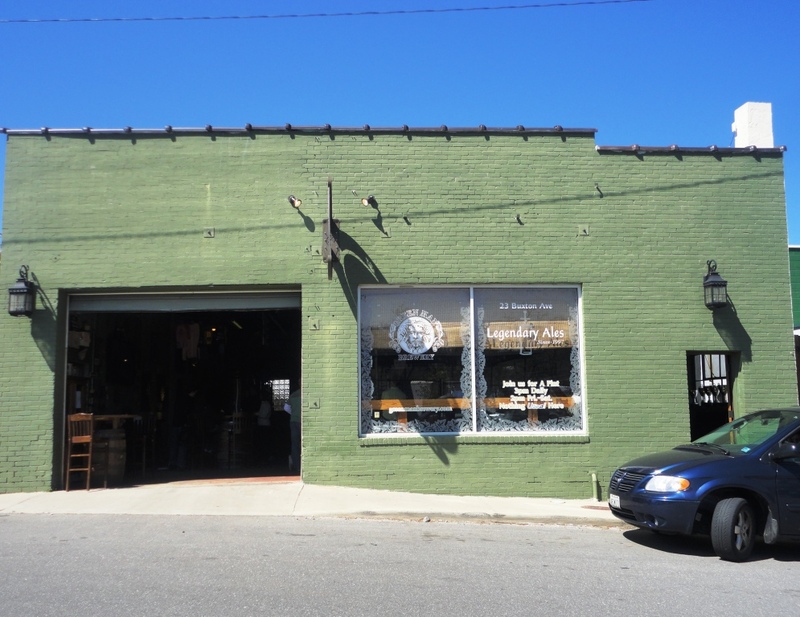 My second beer stop in Asheville was Green Man Brewery. 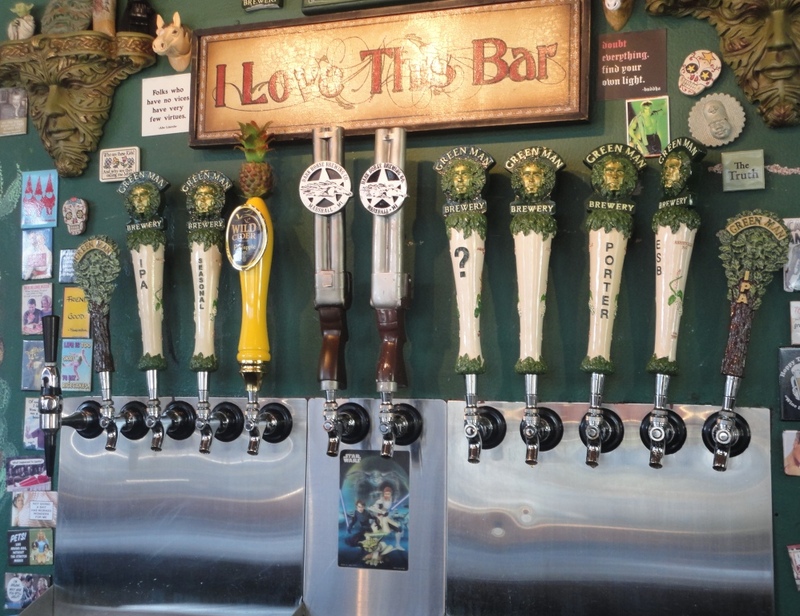 I drank a few Green Man brews during my trip to Asheville last year, but this was my first visit to the brewery. 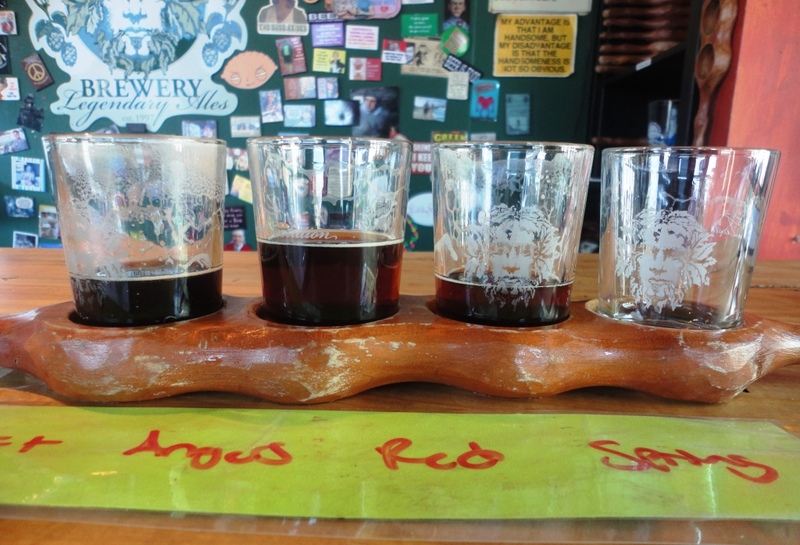 I wasted no time grabbing a seat at the Tasting Room bar and ordering a four-beer sampler. 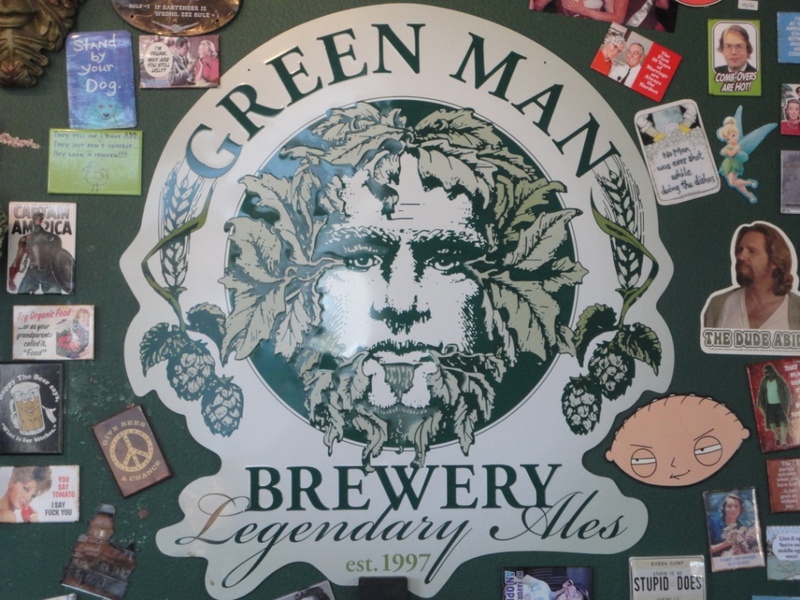 I ended my visit to Green Man with a half-pint of Green Man IPA (6.0%). I loved my visit to Green Man! The vibe, the brew, and the service were all outstanding, and I’ll definitely be back.